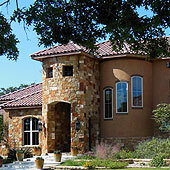 Custom Home Builder San Antonio.History of Robare Custom Homes builder with custom home experience, a premier custom home builder in San Antonio, Helotes, and Texas Hill Country. Custom Homebuilding is what Robare Custom Homes offers, a premier custom home builder experience in San Antonio, Helotes, and Texas Hill Country. You are seeing this text because you have scripts disabled. Please enable scripts to safely view Robare Custom Homes rich website content about custom homes and small commercial construction and commercial building. Robare Custom Homes was established in 1998 and quickly became a premier custom builder specializing in residential and small commercial building throughout San Antonio, the Texas Hill Country, and surrounding areas. Voted the best "rural" builder in San Antonio for 10 Years in a row with over 50 Summit Awards and a US Regional "Star" Award in the past decade, you can feel confident that Robare Custom Homes will offer you top quality construction and award-winning design for your new home. 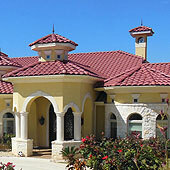 Robare Custom Homes was established in 1998 by Mike Robare along with his wife Linda and has been one of San Antonio's leading custom builders from its inception. Our team consists of over seventy five years of design and construction experience in the custom residential and small commercial market segments. Integrity in business is at the heart of Robare Custom Home's mantra and with that the entire team strives to build beautiful custom homes with indisputable quality and distinction. The quality and consistency of Robare Custom Homes has been recognized by our peers and customers alike, as exemplified in our awards and testimonials. One of our proudest moments was being honored in 2005 with a Presidential Citation from the Builders Association for our donation of the park rangers' quarters at Government Canyon State National Area located in northwest Bexar County. 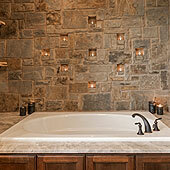 Robare Custom Homes is a business that believes in family. Mike and Linda's oldest son Christopher is in the navy, just earned his degree in Cyber Security from the University of Maryland, and is now preparing to attend OCS to become a Naval Officer. Their second son Ian is attending college in San Antonio, while working with his dad part time in the field building custom homes. They also have two daughters, Mikayla and Lyndsie, who are both currently attending high school. As Christians, Mike, his wife Linda, his family and entire staff take great pride in their work, giving thanks for all they have accomplished. Mike has found that keeping life's priorities in order, that being: God, family, then business, not only brings greater success, but also, balance and a higher level of satisfaction to himself, his entire team, and most importantly... his clients. 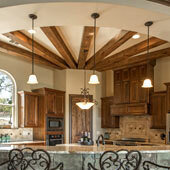 Robare Custom Homes is a custom homebuilder. 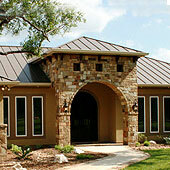 A custom home builder of custom homes, residential builder, commercial builder, and green builder. Mike Robare is the owner and holds the designation of Graduate Master Builder. 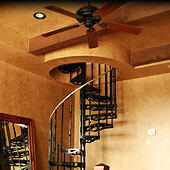 So many custom design and custom build techniques are involved in building a new custom home. 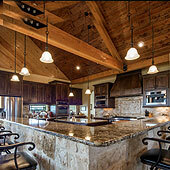 Robare custom homes builds quality custom homes, with quality construction, and award-winning designs.